4 Hurdles are set out in a racing lane 51’0” long to Standard (BFA) flyball regulations. The dog runs down the lane retrieves a ball and returns. 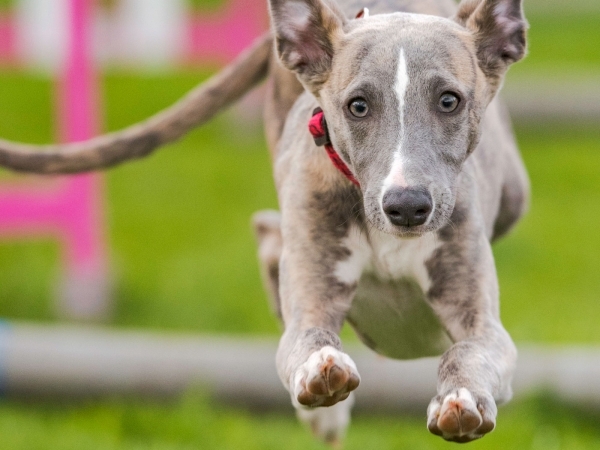 Flyball is a team sport for dogs, with a team consisting of 4 dogs. 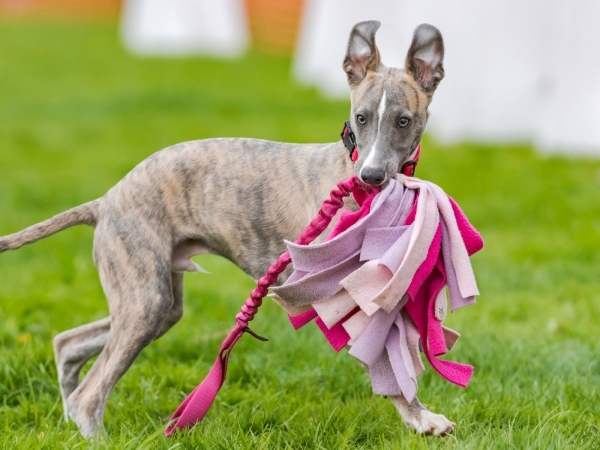 Dogs learn to perfect the ball retrieve in a relay format, passing each other at the start line by whisker. Teams from all over the country compete together most weekends. 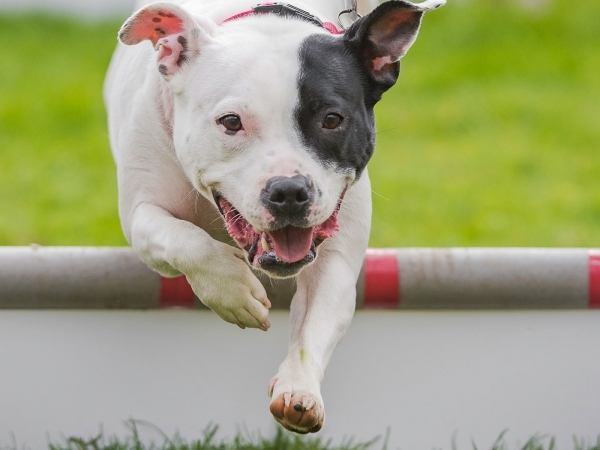 Whilst these Flyball tournaments can be great fun with weekend events often becoming good social meetings, some clubs are very competitive and you may need to commit to attending lots of tournaments and practice. Here at flygility we offer fun training without the need to commit to a heavy schedule. CLASS PRICE £4 per dog. N.B. 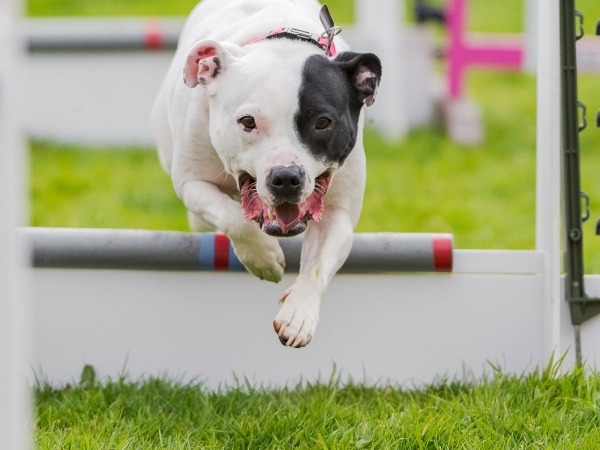 Our agility classes may be running at the same time as the flyball class.